At the moment in cool America we have a Zygopetalum mackayi in flower. This is a orchid that is a native of Brazil and is cool growing. Our Coelogyne stricta has started to come into flower and for some reason all of our Coelogynes that have come into flower have started with two flowers. Coelogyne stricta is quite a large species and each flower measures 2 inches across. This orchid is quite similar to Coelogyne elata. Barkeria melanocaulon (common name ‘Dark stemmed Barkeria‘) is often found growing on boulders and trees, in the transition zones between deciduous and dry forest of central Oaxaco state of Mexico, and at elevation of 1600 to 1700 metres. 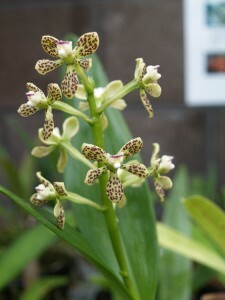 Barkeria melanocaulon is grown in warm to intermediate conditions with moderate sunlight, so we grow it in Cool America. 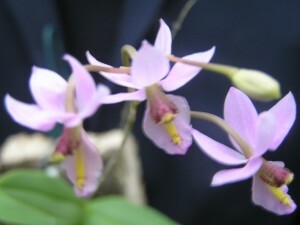 Barkeria melancaulon flowers in the spring and is currently in flower in our greenhouse. Prosthechea vespa is an amazing orchid. It comes from South America, and can be found in Warm America in our greenhouse. It grows in shady areas, in humid substrates with moss and loose soil. 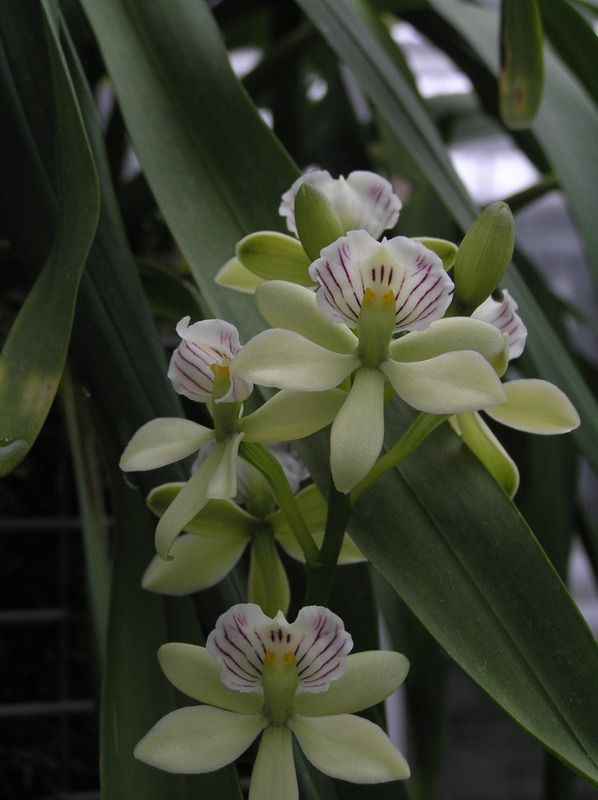 There is also a Prosthechea vespa alba which has the same shape flower but it is plain white.